When Sandy Rafferty originally joined us in August of 2013, her main goal was to get her life back together. Taking care of herself and getting healthy was a big part of this goal. Sandy had a lot on her plate. Her husband had been recently diagnosed with ALS and she was the primary caregiver. She had also lost her home in hurricane Sandy in 2012.  Her life was extremely busy but regardless she made the commitment to join Eastpointe Health and Fitness. She had a replacement caregiver one night a week allowing her to attend a yoga class. The yoga helped to balance her body and her mind and gave a small but much needed break to help with the mental strain of her situation. Sandy loved the facility from the first visit. The staff made her comfortable. “The difference between this and other clubs that I have been to is the staff. Everyone knows your name and they are so supportive!” Sandy explained that she did not like the “competitiveness” of some clubs – she revealed that she had a free membership at another local facility due to her volunteer work and she chooses not to go there. Unfortunately, her husband Jim passed away in September 2014. After a short break from the gym she returned in February of this year and joined our Shore Results All Inclusive training program. Sandy wanted to get the most support and ensure that she stayed engaged. Mentally tired; it was easy for her to make excuses and fall off with her health goals. She was NOT going to let that happen this time. Sandy made the commitment to work with our training team on an ongoing basis to improve and progress her exercises. That consistency has been a big part in helping her with her goals.